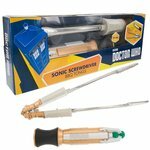 Welcome to Scificollector, home of the Torchwood & Merlin action figures and creators of many exclusive and signed items from the worlds of Doctor Who, Torchwood, Red Dwarf, Merlin and many others. but ALL signatures and items are genuine, fully licensed and 100% official. We hope you enjoy our vast range and thanks for visiting.